Open the Mozilla Thunderbird email application. 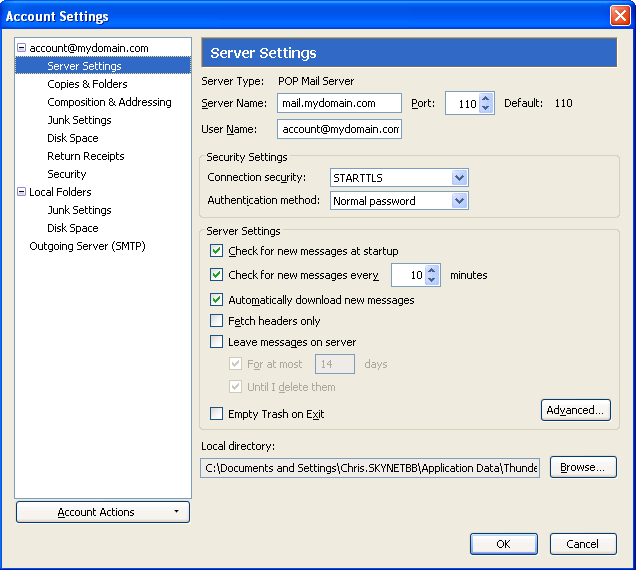 Enter Your Name , Email Address and Password, Check Check Box "Remember Password". On the Next Screen Click "Stop" on the right side. 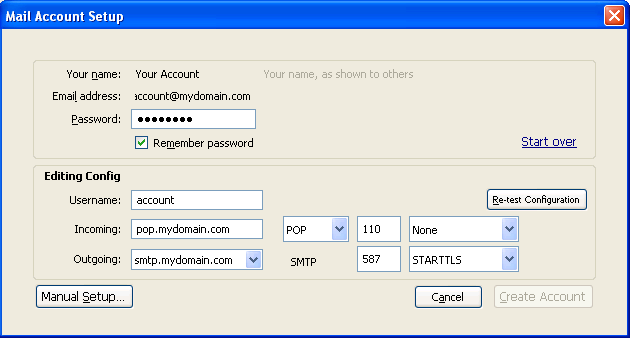 On the Next Screen Choose "Normal Password" for authentication method. And uncheck the "Leave on Server" check box. 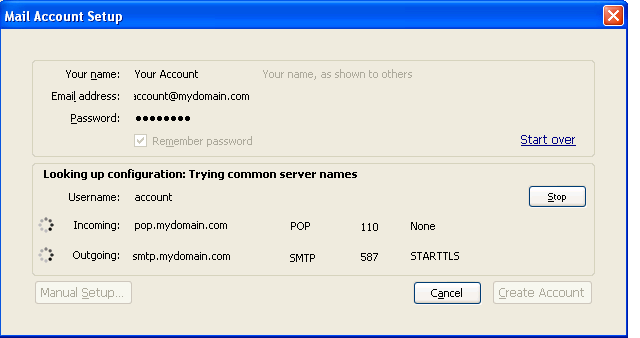 Set Port to 587 , Set Authentication method to "Normal Password" , enter your user name into the username field, click ok, then click ok again.